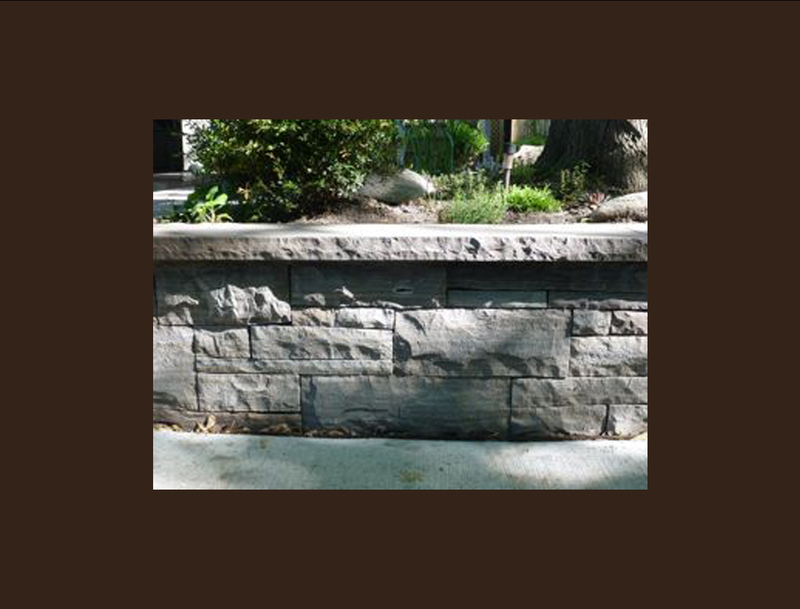 Since 1991 Mark has been honing his skills working with natural stone in a landscaping setting. 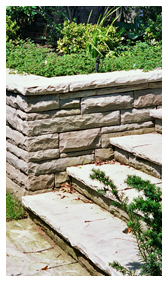 A traditional approach to flagstone patios and walkways, steps and retaining walls means that the tools of choice for working with stone are chisel and hammer. 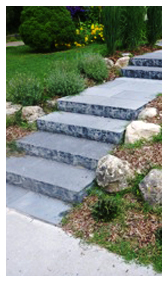 This will mean a dramatic reduction in noise and stone-dust when compared to saw heavy work, but it also means a deeper understanding of the quality and nature of stone and of the character of the space it is designed to inhabit. But ultimately it is in the timeless beauty of stone, handcrafted to fit in a particular place where these efforts will be revealed. These are team efforts. Ray has contributed his skills and hard work for over eleven years. And through the strength of relationships like this, we can offer skilled horticultural and woodworking services as well. is simple. A flat stone on the ground . Nice on the feet. But so many ways to do it. Squares and rectangles of different shape and size - or pieces of random shape - fit together but never the same way twice. With loose, open joints, or with carefully constructed joint lines that weave and flow through the landscape. 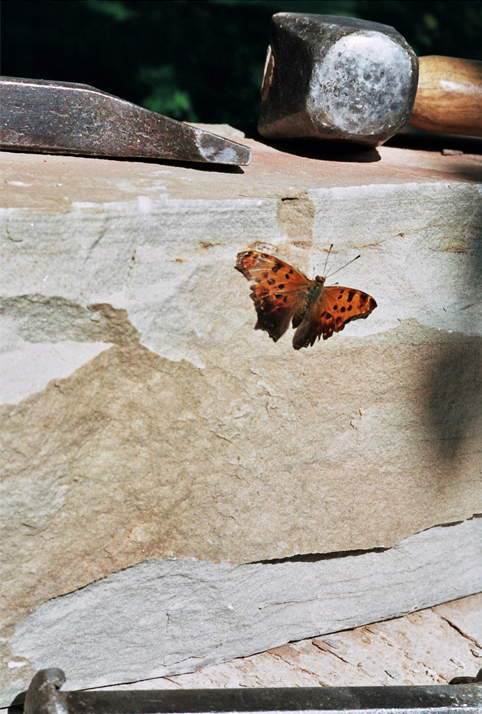 On cement - "wet" - or "dry" on a permeable base where the stone is allowed to gently move with the forces of nature. hold the earth in place. Only one side is seen. 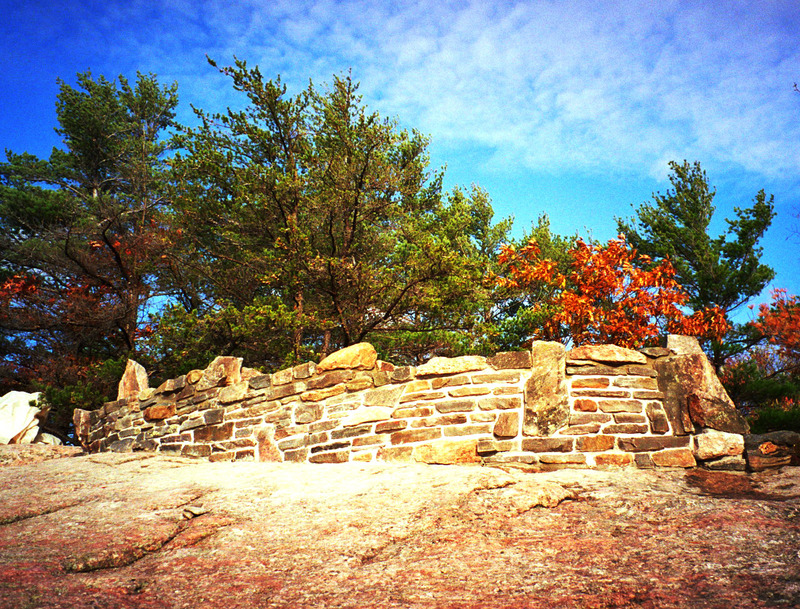 Stones nestled upon each other, a slight lean into the earth with no cement is a dry wall. Tightly constructed or more loosely placed, the premise remains: simple and flexible. 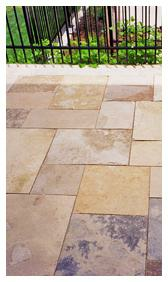 Or start with a concrete base and set each stone in mortar when a solid "wet lay" approach is preferred. 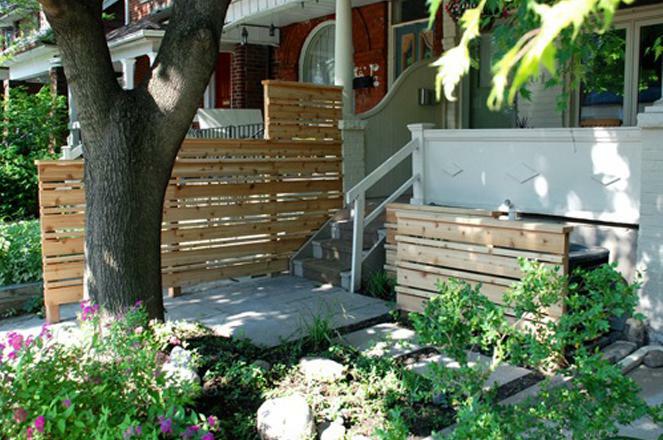 Either way, a beautiful, functional, vertical element for a garden. Stone does not take space up. It creates it." "Working with Mark and his team was amazing! Mark was reliable, responsive, did what he'd said he'd do and then some. 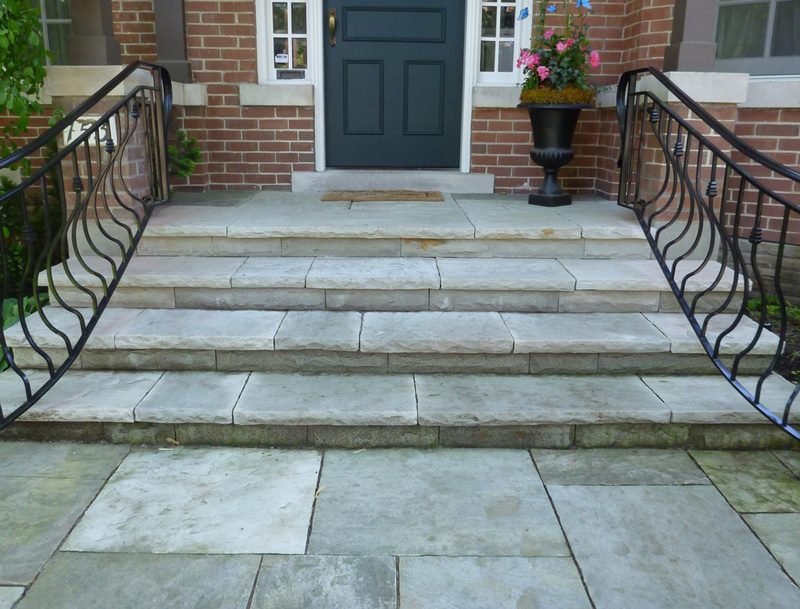 His designs for both the front and back yards turned out better than we imagined, and he was able to solve a tricky problem with one of our front steps. With Mark you're never worried: any arising issues are met with calm, rationality and humour. Would recommend strongly. Thanks Mark!" 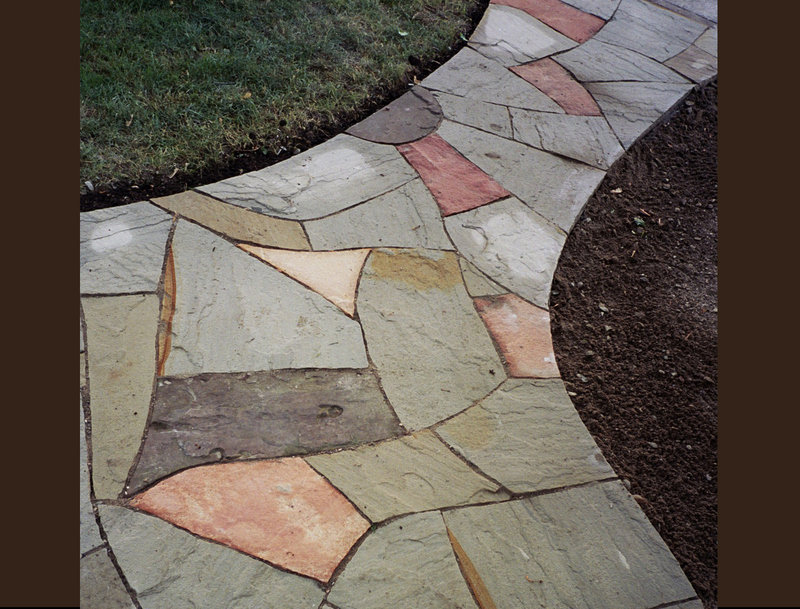 "Mark created this wonderful walkway out of Kingston limestone, granite and pink quartz(from our land on the Canadian Shield) in a freestyle that I was aware was a very difficult task because stone does freely fit into the form needed. This was an art form and the results were magical. Because of the different colours, the walk glows at night and in the day, looks like a beautiful limestone way. I can't recommend him enough." "I called Mark for a consultation last summer based on his reviews. He returned my call the same day and we met a few days later. Mark's was my first and only quote and consultation on the project. He is straight-forward and knowledgeable and his price is fair. 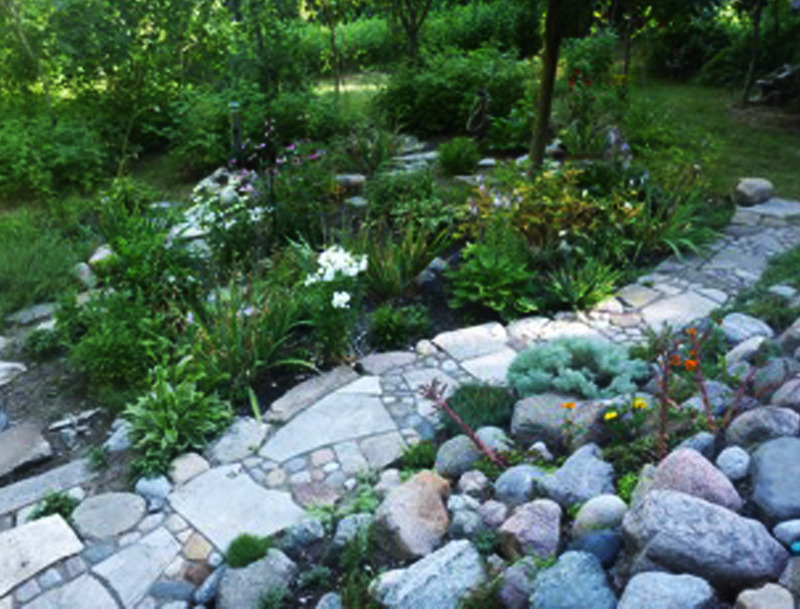 His designs reflect his experience and his appreciation for enhancing the natural beauty of the property. The results are meticulous and elegant. 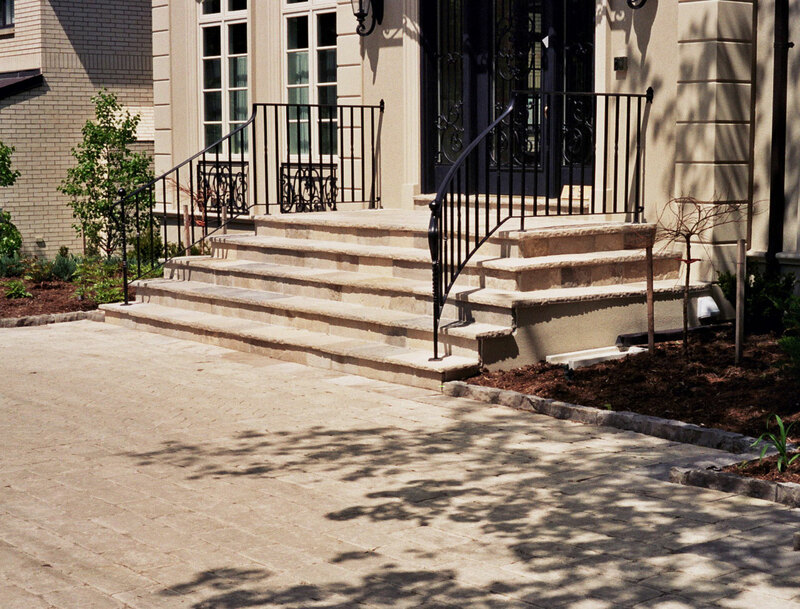 It is valuable to find contractors who respect your property and that of your neighbours. The project was tidy, efficient and, most importantly, beautifully done. Almost a year later the walk still brings a smile to my face and I recommend him whole-heartedly. I will definitely call him again." "I highly recommend Mark Goger and his team. 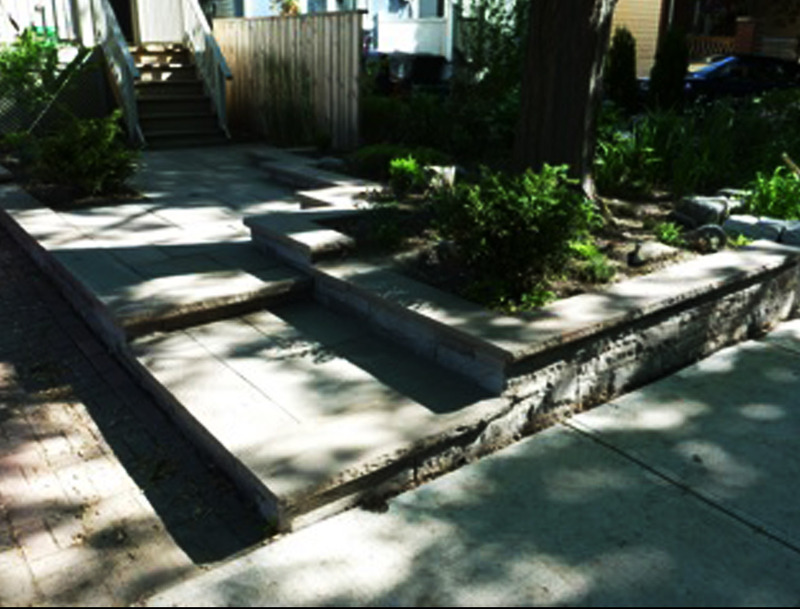 They replaced a deteriorating retaining wall that came with a series of challenges like uneven land, property line issues, junk removal, etc. From the first phone call through to finish, Mark demonstrated a high degree of professionalism, care, and attention to detail. 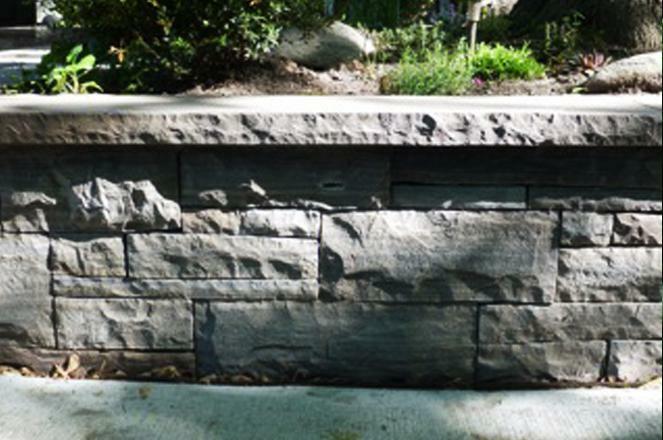 The craftmanship was excellent, the job was completed quickly, on time, and as quoted. Mark's service and quality of the work is unmatched. Hire him. You would not regret it." 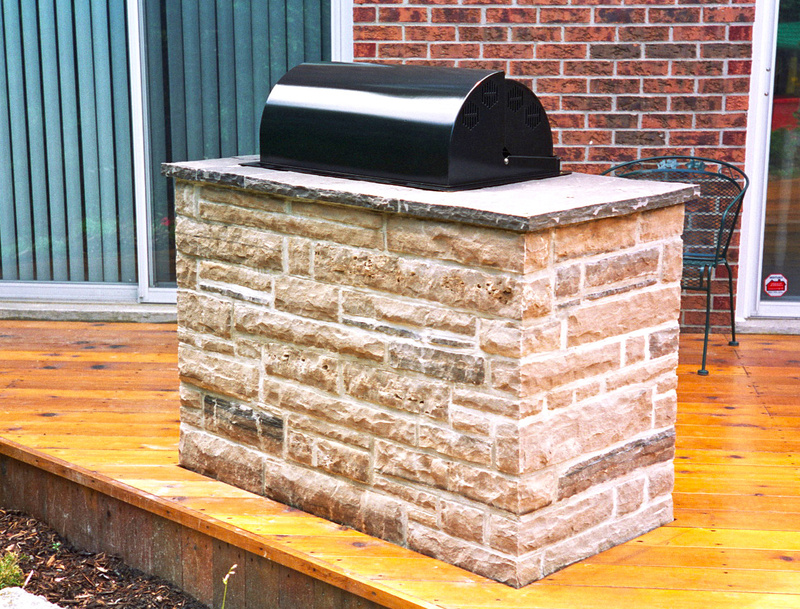 "I couldn't be happier with the work that Mark Goger and his team did at my home this spring. 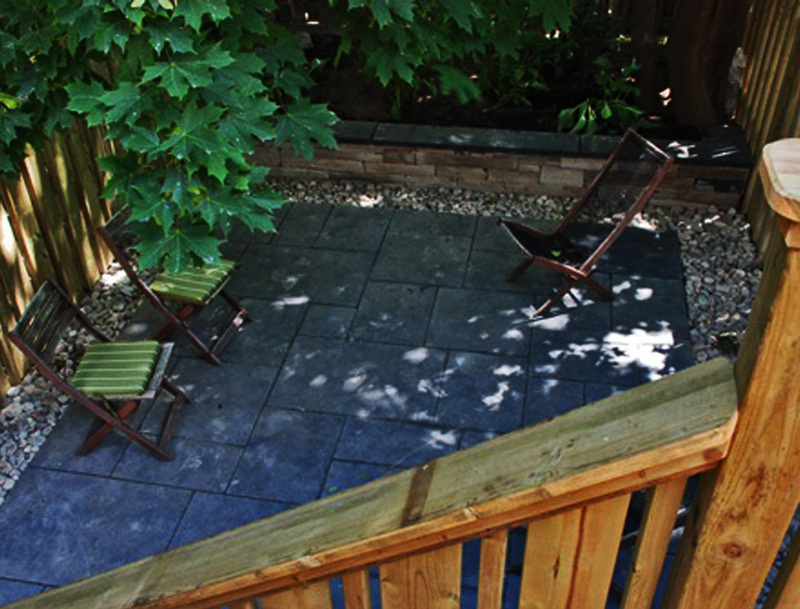 Mark spent a considerable amount of time with me figuring out the best plan for my front yard given my budget, the style of my home and my privacy needs. 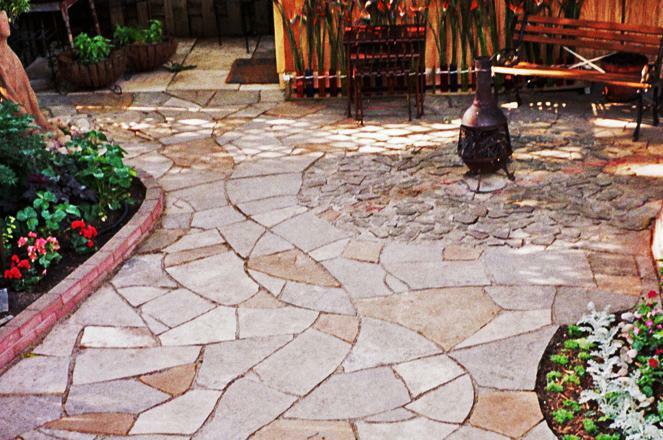 He created a beautiful stone walkway, had some fencing built and planted new shrubs, perennials and ground cover. I have had countless neighbours stop by asking for Mark's name since the work was completed. Mark was a pleasure to work with. 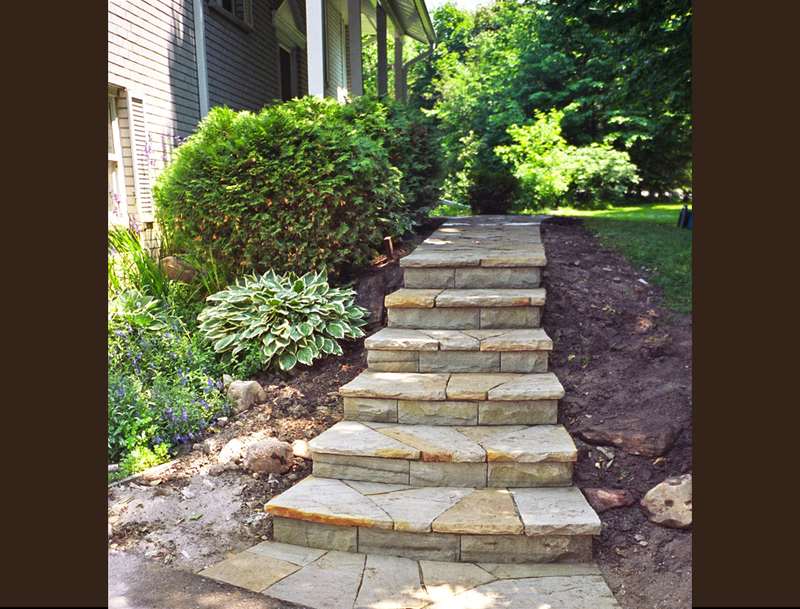 He was very professional, completed the work in a timely manner and on budget and took great pride in the job. I will continue to recommend him to others without any hesitation." Design consultation always a part of the process. If you need immediate assistance, please call us at (416) 778-6955.